Some of the villians pictures were made with the Heromachine and then screen captured. Known Powers: Transforms to an eagle. Magical powers. Worked with Darkspell, Volt and the summoned demon Blaz. After encountering the Black Druid twice in the present (Jewel and The Day of the Company), they encountered him, or someone like him, nearly a thousand years in the past in A Trip in Time. After Issue 34, Black Druid is imprisoned in Dradoom's home dimension. The Black Druid is more of an evil essence than an individual. This essence has lived for hundreds of years looking for a host it can possess and work its evil ways. Dux Brittanicus/Sir David of Brenlake was able to resist its lure but since it has a host in the present day we know (a) that it is active, and (b) it takes on the appearance of its host. Known Powers: Armour, Magical powers. After Issue 34, Black Witch is imprisoned in Dradoom's home dimension. 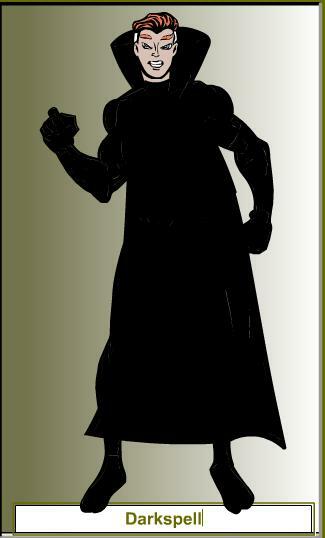 Wanderer: Mystic said he was strong, fast, and stupid magically summoned, his disappearance when Darkspell lost consciousness probably means he served Darkspell. Captured in Issue 2, incarcerated at PNDF. Cutter was an Australian hunter who decided to make a go of crime. His first hit turned up plans for an experimental plasma gun. He stole the needed parts to build it and was off. Retired from active villiany in Issue 24. Cat like servant of Dr. Armand Saruva, little is known about him. Although he uses his claws ferociously, he is not overly strong. Captured in Issue 36 and incarcerated at PNDF. 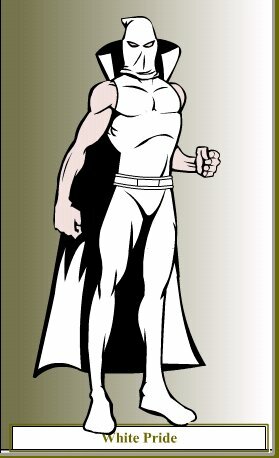 Although his first full appearance was in Interlude 18.3, he made "off-camera" or "cameo" appearances in several other issues. In Interlude 5.2, the Wanderer finds a victim must moments after Dagger had left. In Issue 12, the Wanderer has been working to find the killer and again missed him by bare moments. Defender saw him in the shadows. In Issue 13, someone had pulled the heroes out of the burning warehouse, but the person was unknown at that time. During his trial, Dagger reveals that it was he who rescued the heroes since "we are all on the same side." Captured in Interlude 18.3, presumably will go to prison, not the PNDF. Captured in Issue 7, incarcerated at PNDF. Broken out of the PNDF in Issue 16. After Issue 34, Darkspell is imprisoned in Dradoom's home dimension. Costume notes: the pants should be more like shorts and are made out of a shiny metallic gold substance. The "X" is made out of strips of some kind of black leather. After Issue 34, Dradoom is imprisoned in Dradoom's home dimension. Captured in Issue 18, incarcerated at PNDF. Known Powers: Some kind of radation blast. Known Powers: Radiation emission, reports are vague due to the fact that in recent altercation, he was out before he even woke up. Weaknesses: Fairly certain that he can't take a punch. Team Affiliation: The Three, possible connection to the Net. 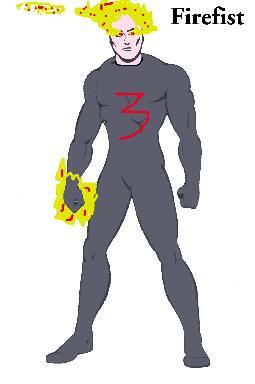 Known Powers: Armoured suit, Frost Cannon. Captured in Issue 4, incarcerated at PNDF. 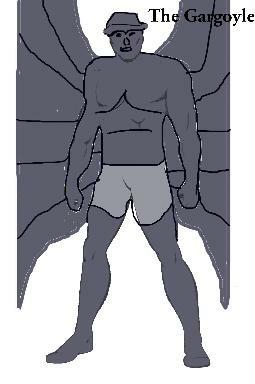 Known Powers: Wings, Rock-like skin. 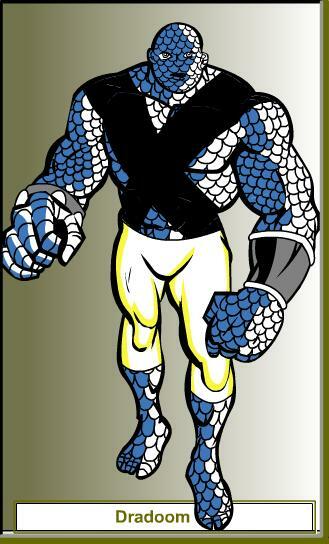 Known Powers: Flight, rock hard skin armor, high-level superhuman strength. Was the only member of the Three to do any serious damage to the team. Weaknesses: Slow. Can be overpowered with a concentrated team effort. Missing and presumed dead after fight with Peace-Keepers. Dog like servant of Dr. Armand Saruva, little is known about him. Although he uses his claws ferociously, he is not overly strong. Glory -- possibly has a mind-altering touch of some kind. Possibly not. The Krai Empire is a star-spanning race of Ursoids. They are led by a warrior class, who rule over a servant class -- the drones. The drones are the support backbone of the Empire, but they are nearly useless in a direct confrontation. The warrior class, however, are extremely dangerous. 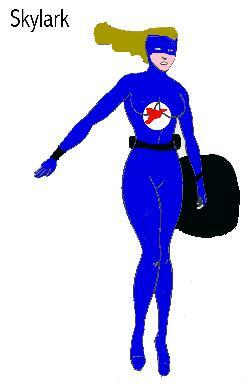 The most highly trained and best equipped of that class can potentially go head to head with Earther superheros. Created a vaporous darkness field, which caused extreme fear in anyone trapped inside. She was immune to the fear and could see in the field. Martial artist. Quick. Killed in fight with Peace-Keepers. Can fire blasts of fire or ice. Can create mobile constructs of ice which seem at least semi-autonomous. Captured in Issue 36, incarcerated at PNDF. Little of his potential is known. Believed to be the leader of his group (Moleculon, PowerFist and SpeeDemon). Demonstrated some mental control abilities, mostly inducing hallucinations. Can use mental force to injure at a distance. Captured in Issue 14, incarcerated at PNDF. Known Powers: Uses a whip. Superstrong. Captured in Issue 31, incarcerated at PNDF. Little observed first hand about this individual. Assumed leadership of the group after Mindslasher was disabled. Apparently has the ability to affect other objects on the molecular level. Effects unknown. Fights with a baton of some sort that seems to have transdimensional properties. Wanderer: Ability to alter the physical properties of inanimate objects (may stem from hand-held truncheon) Skilled Hand-to-hand. Note that logo is a triangle with a ball at each point. Paranormal level agility and reflexes...took a head-on punch from Sting and managed to land on his feet. Normal-level strength..doesn't hit very hard from a paranormal standpoint. Possibly "afraid to take a punch"...Sting noted it was relatively simple to keep him on the defensive. Known Powers: Very little is known of the villian the press dubbed Nightmare Man. He is responsible for what seems to be a senseless terror attack at a society party. He was last seen being carried off by an oversized bird. Known Powers: IPAC: A meglomanical genius. Designed an armoured suit which presumably is the source of all other abilities including at least: vibratory attack blast, flight, and underwater life support. Known Powers: Giant size - 4.5 mtrs, and associated increase in strength and weight. William "Bill" Smith alias Pogo: A former decathalon athlete, he was barred from competition for steroid use. He turned to crime, working as a hired enforcer for various criminal organizations around the US. His vehicle, a specialized pogo stick was constructed for him by Clive Davison, aka Moleculon. Armored bully with sadistic tendancies. 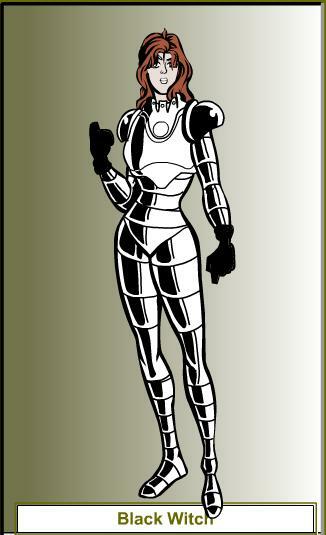 Majority of powers seem to be derived from mechanical armor shell. Has demonstrated hyper strength, kinetic force absorbtion (can take a beating) and bad breath. A decent fighter who packs a devastating punch. Shook off a six story fall fairly easily. Captured in Interlude 24.2, incarcerated at PNDF. 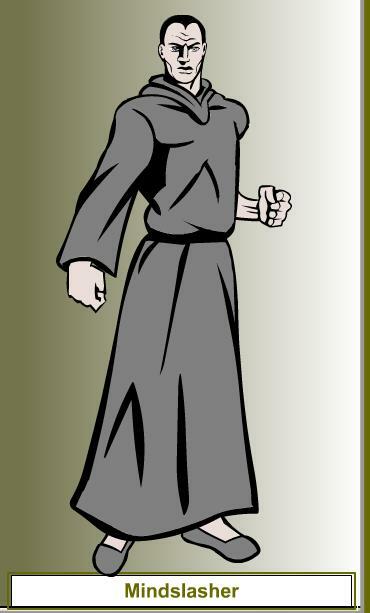 Known Powers: A trained martial artist. On the loose again by Issue 31. Works with or for Overlord. 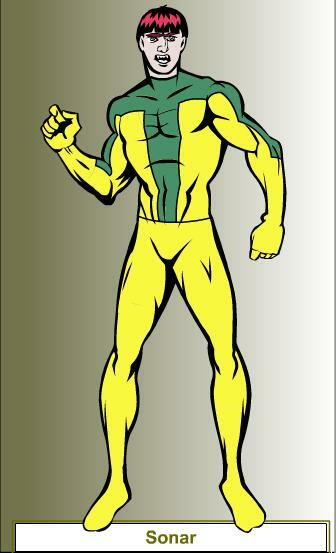 Known Powers:Expert shot with crossbow, has a selection of gimmick quarrels. Blinded as a result of freak accident in a museum of ancient art, Sherwin developed alternate methods of targetting which have proven most succesful. From IPAC:(As of issue 22) Thought to have been in Europe, but dropped out of sight about two years ago after a short series of succesful robberies. Little is known of Dr. Saruva except that he is a scientist involved in the underworld. Known Powers: Brilliant mind for genetics. 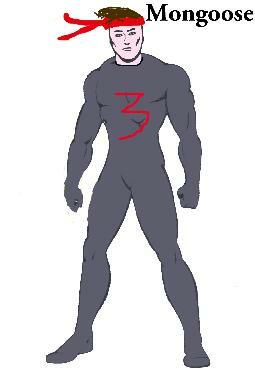 Believed responsible for the creation of half man/half animal hybrids. Completely disinterested in the effects of his experiments and was particularly ruthless in a recent encounter with Flex. Weaknesses: Normal human being...Sting reports somewhat of a glass jaw. Team Affiliation: Connection with the Net, exact nature of which is unknown at this point. PC Notes: He tends to favor nondescript, out of the way places for his laboratories, places that people tend not to think about. His motivation for his experiments is unknown, but what is known is his callous disregard for human life, as evidenced by his experiments on everyone from athletes to pregnant women. Could be a vital link to the Net. 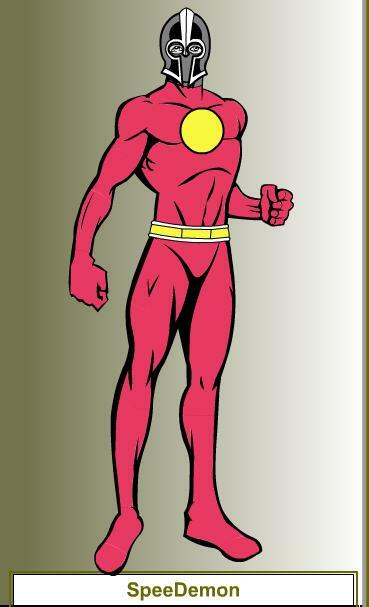 Known Powers: A power armour geek; suit with spikes and blades protruding from it, enhanced strength. Rode a flying chariot. No-one has been able to get any of his gear to work right leading to speculation that he may be a mutant of some kind, and the armour/etc. is a focus for his power. 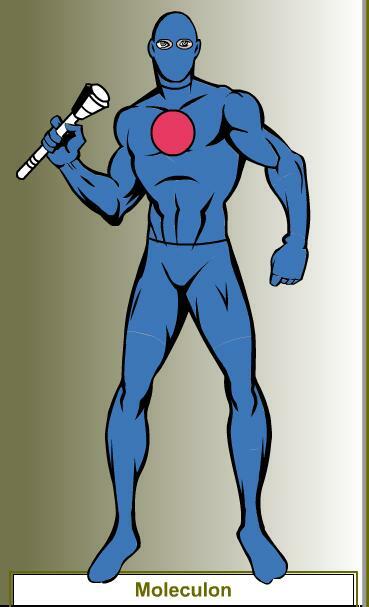 Known Powers:Expert shot with longbow, has a selection of gimmick arrows . Former trick shot specialist turned to crime. Fervor -- cold and detached emotionally. Perhaps superspeed. Other powers seem mechanical. 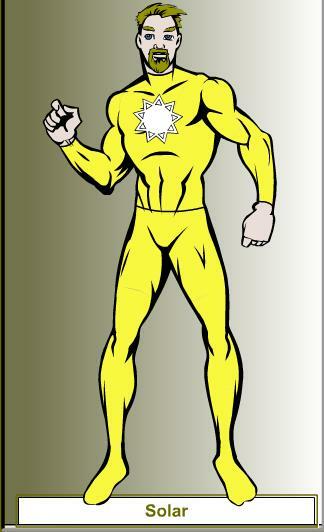 Known Powers: Flight, plasma energy attack, possible enhanced endurance/toughness. Was somewhat hard to take down. Weaknesses: Arrogance. Thought he could take on multiple people at once and was wrong. Team Affiliation: Possible connection to the Net; I don't feel there was any affiliation to the Three other than as a "fellow hireling." Although first seen in Issue 28, Solar was offstage in Issues 19 and 20 when the MUSE-V was stolen. 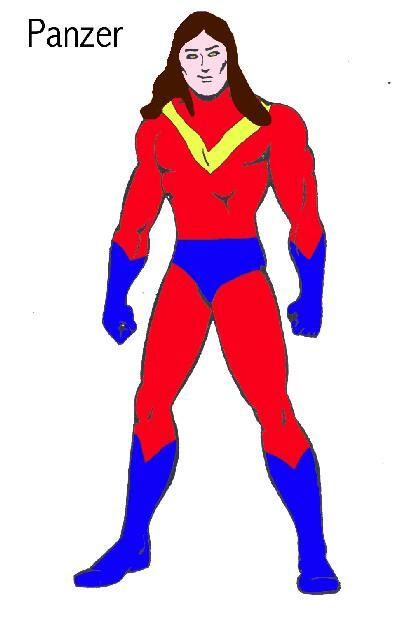 Russian with a bad attitude, SpeeDemon has demonstrated hyper speed. Was once in possession of a belt that gifted him with a personal force field and flight. An average hand to hand fighter. 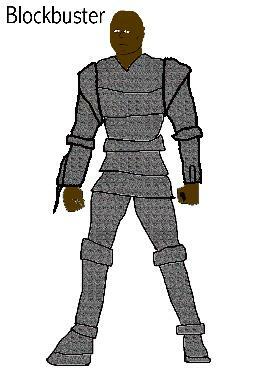 Known Powers:Armour, Superstrength, uses a sword well. Captured in Issue 16, incarcerated at PNDF. Costume Notes: the headband should actually cover his eyes and have eyeholes cut in it. The logo should be a lightning bolt shaped like a "Y." Worked with Darkspell and Black Druid. Escaped from PNDF by unknown means week of 7-3. 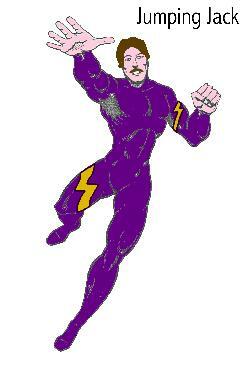 Known Powers:Psionic, with the ability to control minds. If he could touch his target he gained almost complete control, but could also do a sort of SuperCharismatic mass hypnosis. Could also attack mentally to do damage. Killed in battle with The Peace-Keepers. Captured in Issue 11, incarcerated at PNDF.